Using either our Wireless or Fibre Networks we can supply your business with Superfast connectivity. Our Managed business Routers and Wifi let you get on with the things that matter while we take care of the rest. All of our business connections support VPN and remote access ability, enabling you and your employees to work from anywhere in the world. 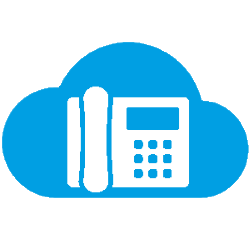 With our VoIP service we can provision a new number for you in minutes. This can then be forwarded straight to any number of mobile devices or desk phones so you never miss a call again. We are also able to port your existing landline numbers to our VoIP Service. VoIP is easily scalable – businesses can add and remove users at the click of a mouse. No newlines/contracts and waiting days (weeks) for an engineer to come out when you recruit new employees. VoIP is very cost effective – Most businesses will save between 30-50% of their total annual cost of telephony (call costs + line rentals + service/maintenance charges) when they switch to VoIP. If you are looking or internet and WiFi access for caravan and leisure parks, marinas or other similar locations please click here. To find out more and to discuss your needs please get in touch by clicking here.